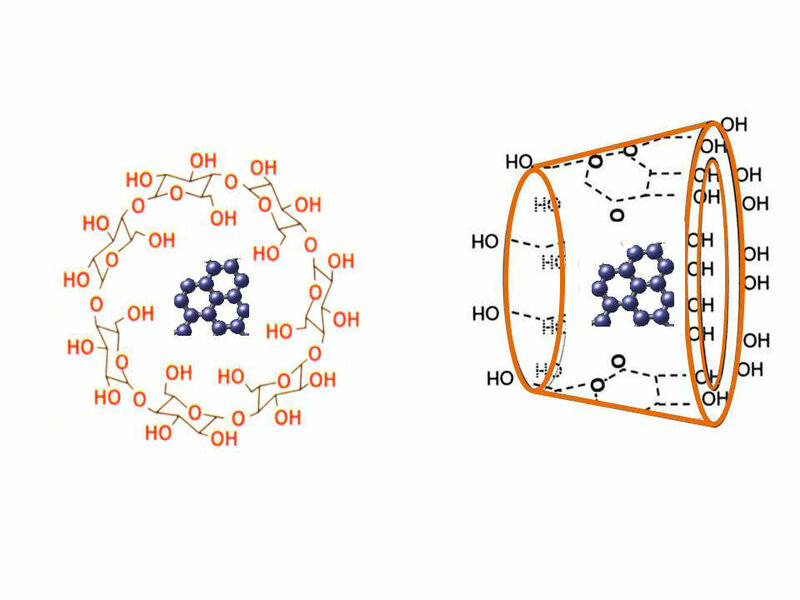 Researchers found that bounded ring-shaped sugar molecules (cyclodextrin) are effective at extracting crude oil from sand. Their results provide important information to evaluate the use of these compounds in future efforts to clean up oiled shores. They published their findings in the May 2012 edition of the Journal of Environmental Monitoring: Assessment of cyclodextrin-enhanced extraction of crude oil from contaminated porous media. The study authors are Heng Gao, Martin S. Miles, Buffy M. Meyer, Roberto L. Wong, and Edward B. Overton (Journal of Environmental Monitoring 2012, 14, 2164). This research is made possible by a grant from BP/The Gulf of Mexico Research Initiative (GoMRI) to the Coastal Waters Consortium (CWC). The GoMRI is a 10-year, $500 million independent research program established by an agreement between BP and the Gulf of Mexico Alliance to study the effects of the Deepwater Horizon incident and the potential associated impact of this and similar incidents on the environment and public health.